We may see share family data plans soon on Verizon Wireless. 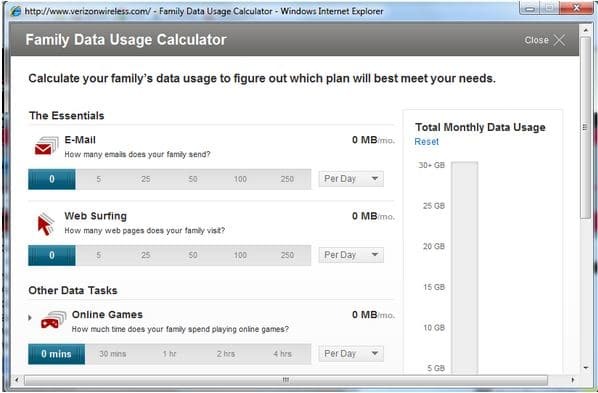 Phonearena’s screenshot of a family data calculator suggest that Verizon is likely to have shared data plans later on. The data calculator is a helps customers to decide which plan is right for them by given an idea on how much data they might need.